Drilling holes in the head, otherwise known as trepanation, is the earliest surgical technique known. 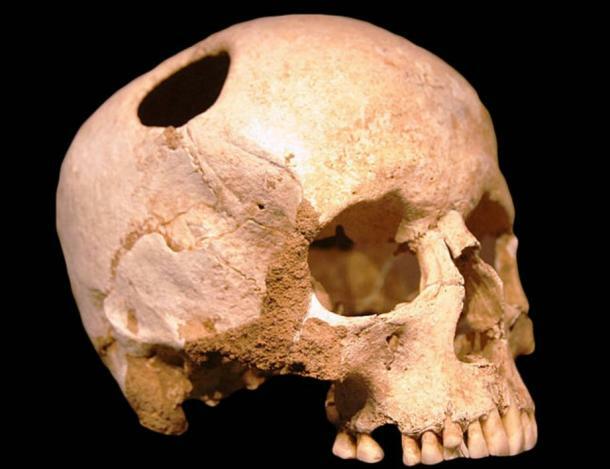 Holes were bored into a patient’s skull in an attempt to relieve physical ailments and mental illness. Researchers have now discovered the first example of the drilling technique used on other body parts in pre-Columbian Peru. In a study published in the International Journal of Paleopathology, physical anthropologist and professor at University of Central Florida, Dr. J Marla Toyne writes that marks were identified on two skeletons found at the pre-Columbian site of Kuelap, in northeastern Peru. The bones of the individuals, dated to 800–1535 CE, displayed evidence of having undergone drilling techniques on their legs in a manner similar to trepanation. It is thought this was done to treat a possible lower leg infection, and this is a rare find. Numerous cases of trepanation can be found throughout various cultures, and the practice dates back to Neolithic times. Researchers say that abnormal behavior in people was believed to be caused by evil spirits, and illnesses ranging from migraines and seizures to mental disorders were treated with trepanation. Bits of the extracted bone would sometimes be kept by the prehistoric patients and worn as a charm or as jewelry to ward off evil. Evidence for this early skull and brain surgery has been found at the Asikli Hoyuk archaeological dig in Turkey. Researchers found skulls at Asikli Hoyuk demonstrating the earliest-known form of skull surgery at the ancient Neolithic settlement. However, at that site it appears that such procedures had nothing to do with physical injury, and it is not known why it was practiced. Some patients survived trepanning, which was determined by evidence of healing and regrowth of bone, and some did not. In the case study abstract for Kuelap, Toyne says that although the Chachapoya shamans of Peru were known for their therapies and healing skills, in this particular instance, the drilling procedures do not show evidence of healing, suggesting the patients died soon after. 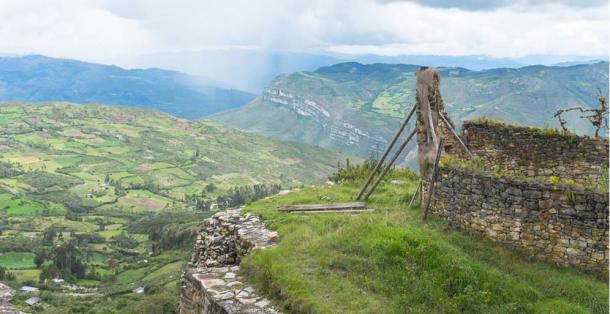 According to Katy Meyers Emery for anthropology blog Bones Don’t Lie, the ancient indigenous peoples of the Chachapoyas region of Peru were innovative in their practice of healing and medical therapies. “Numerous texts speak of the skills of the indigenous healers and note the presence of specialists who could deal with significant injuries, diseases and complicated medical treatments. Other bioarchaeological examples of surgery from this region and period show that they were able to do quite complex surgical interventions with success- the human remains show signs of amputations with clear healing of the bone,” reports Emery. The two skeletons from the Kuelap site in Peru were male, one aged 30 to 34 years old, the other an adolescent. Examinations revealed the pair were seemingly healthy overall, without major stresses detected on the bones. However, the depth and placement of the drilled holes suggest the surgeries were done to relieve pressure from an injury or infection which caused a build-up of fluid in the leg. It is not known for certain whether the drillings were done on a living patient suffering from infection who died during the surgery, or whether these procedures were done on the recently deceased as training for novices. Such experimentation on dead bodies was a trial and error method used in order to perfect technique. Although the drilling treatment may seem extreme or unsuitable to modern eyes, Dr. Toyne concludes that the marks show ancient medical knowledge was available to the Chachapoya of Peru, and the healers provided the best care they could for their patients.